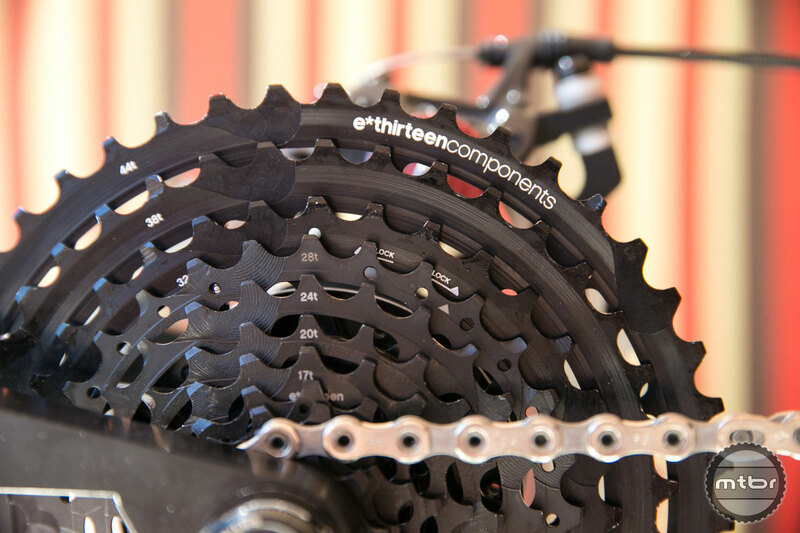 e*thirteen‘s new wide range cassette offers the same spread as a traditional double ring setup, but allows you to replace individual portions of the cassette due to wear. 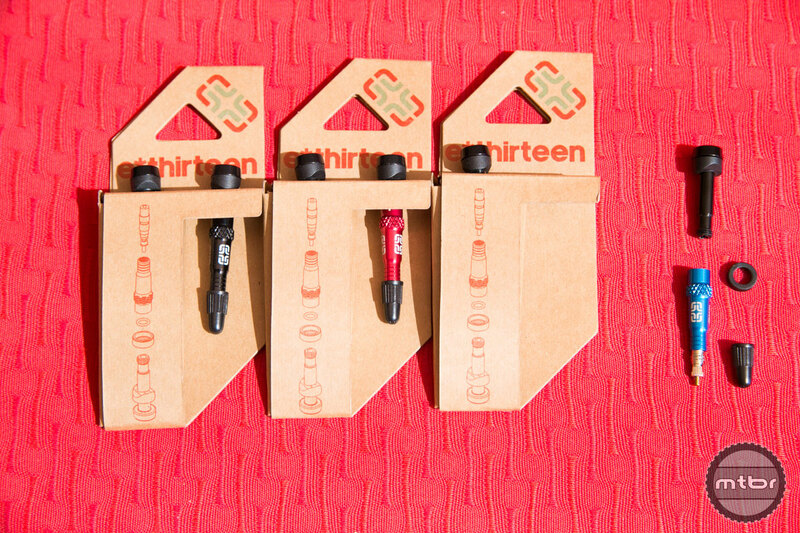 Director of Product and Marketing Todd Bishoff, shows off e*thirteen’s new two piece 9-44T cassette, as well as some of the company’s new DH and Trail carbon offerings. 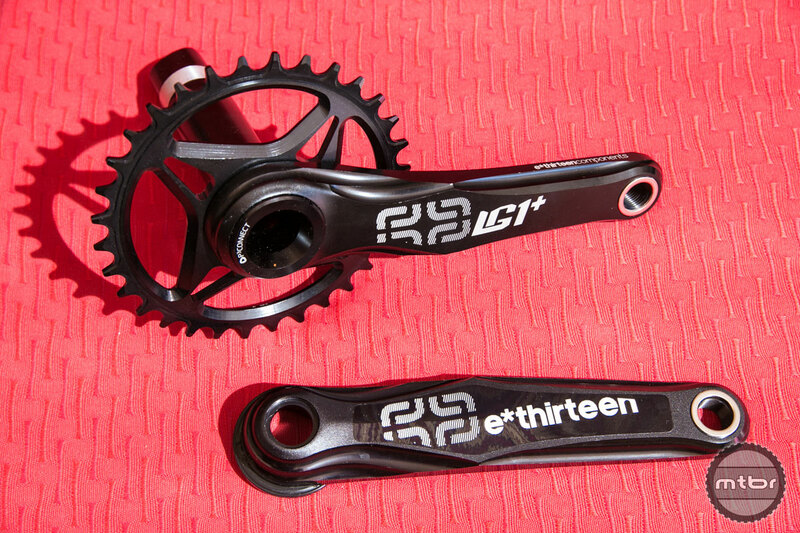 e*thirteen’s latest project is a 9-44t 11-speed cassette that offers the same range as a typical double ring setup. It utilizes a two piece design that allows you to replace either the lower or upper cluster depending upon wear. The upper three gears are made of aluminum and mount to an XD Driver via a lock ring, while the lower cluster locks into hooked flanges with a chain whip. 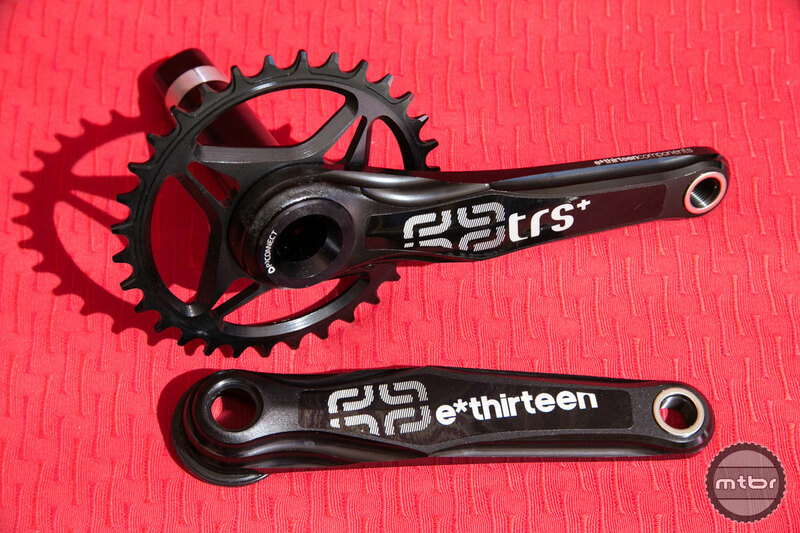 They’ve also launched two new carbon cranks, the LG1r and TRSr Trail. The LG1r is targeted at the DH market and is available in a 83mm BB with 165mm cranks. The trail version has a claimed weight of 459g and will be available in 170 and 175mm lengths. Lastly, the LG1r Guide receives an update in the form of an all new carbon back plate, which e*thirteen states has better energy absorption properties than aluminum. A purpose-built crankset that will take you to DH World Cup podiums. 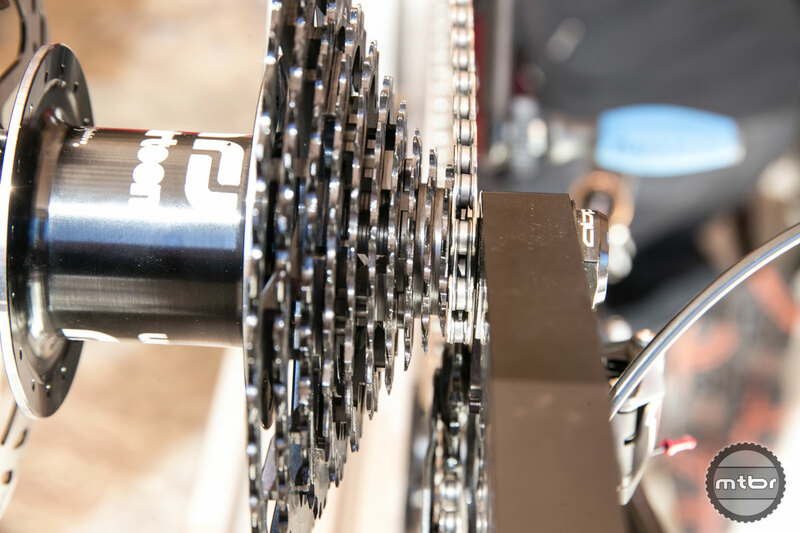 Over the top thinking by our engineers results in novel and innovative features that allow for lighter, stiffer, stronger and more reliable cranks. 30mm spindles provide a rigid base for the system while our new 1 degree P3 Connect Polygon interface creates a more robust, reliable, impact-resistant spindle-arm junction, with an 18% strength increase for 2015. 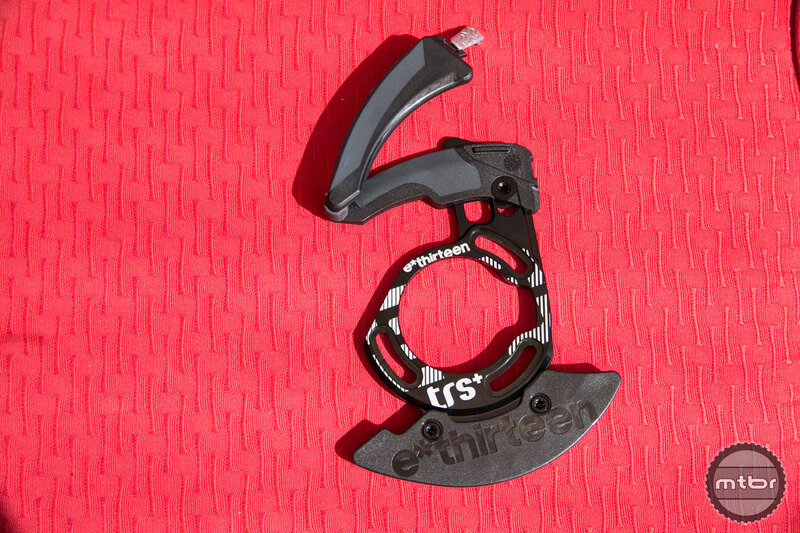 Crankarms: EXA+ Aluminum w/ APS preload adjuster, Quick Connect™ Lockring. 165, 170, 175mm. 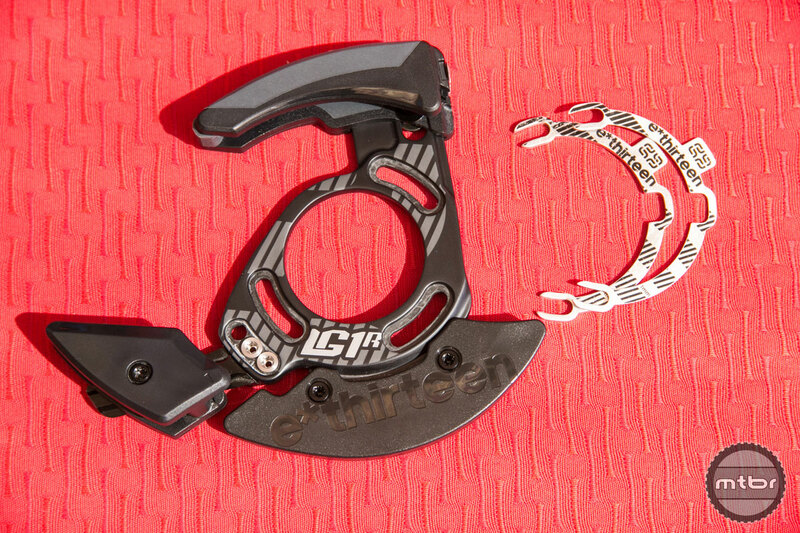 Extras: Removable Quick Connect™ Dual Width Guidering M, Quick Stick Crankarm protectors, Steel Crankarm tool and Chainring/BB removal tool included. 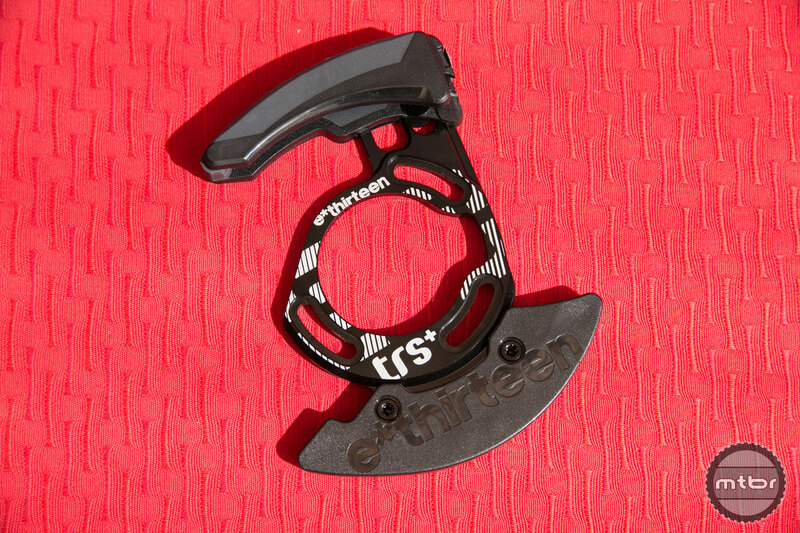 The Ultimate Enduro crank for 1x setups. For 2015 we’ve increased strength by 18% with the new P3 Connect Polygon interface, which creates a more robust, reliable, impact-resistant spindle-arm junction. Over the top thinking by our engineers results in novel and innovative features that allow for lighter, stiffer, stronger and more reliable cranks. Crankarms: Exalite+ Forged Aluminum w/APS and Quick Connect™ Lockring. 170mm, 175mm. The TRS+ (Trail Security) Guide is designed to fill the expanding Enduro and All-Mountain categories. Engineered to take extreme punishment dealt by riders on enduro bikes, they are still light enough to use on XC specific bikes. 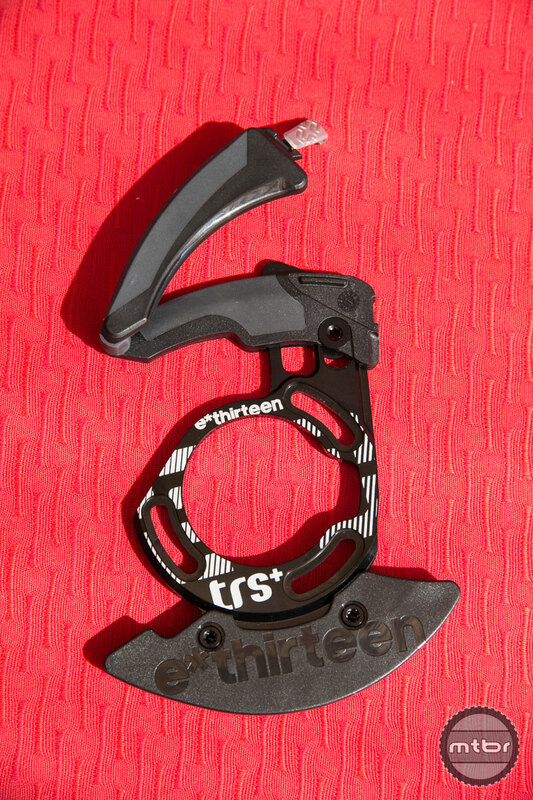 Completely re-designed for 2015, the TRS+ guide offers the same world class chain retention in a lighter, stiffer, and far more adjustable design. The ISCG05 mount holes offer more adjustment than any of the competition, and the upper slider has a further range so riders can achieve ideal fit and positioning. 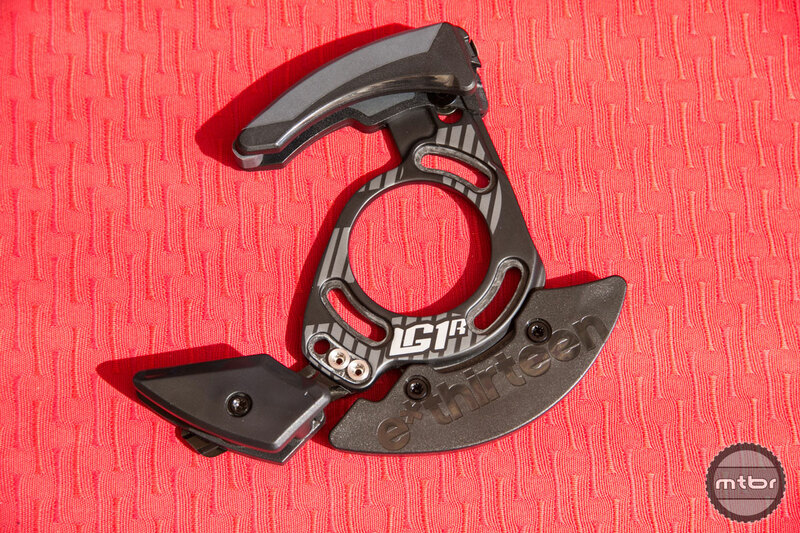 A modular assembly allows riders to choose from one of three sizes of bash guards (included). All polycarbonate parts are now solvent resistant, so they wont get brittle or crack after exposure to lubes and cleaners. The upper slider has a co-molded soft rubber interior to cut down on noise, and it opens quickly and easily without tools. 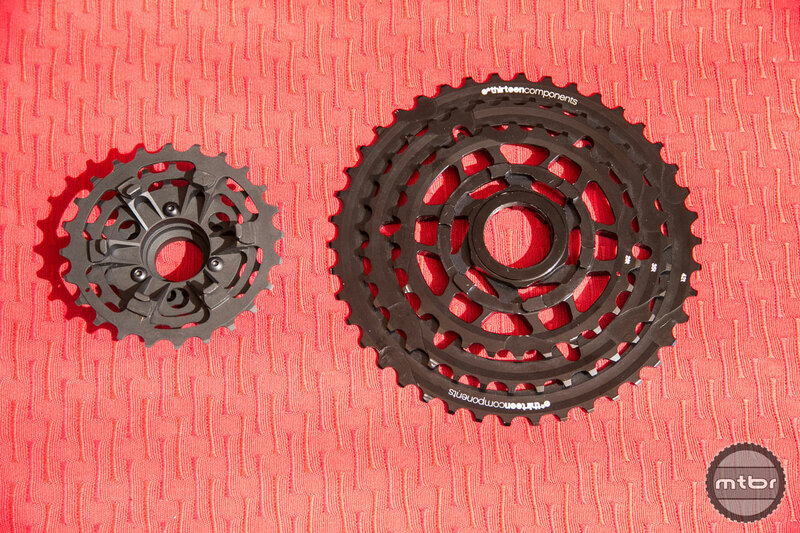 The 11-speed cassette utilizes a two piece design that allows you to replace either the lower or upper cluster depending upon wear. The upper three gears are made of aluminum and mount to an XD Driver via a lock ring, while the lower cluster locks into hooked flanges with a chain whip. Same feature set as LG1+ guides but with a full carbon backplate. Dropped weight and more energy absorption from carbon with quick open features, fully removable rear slider and lower plastics. Hi-volume tubeless valves, custom designed to offer the best results for installing tubeless tires. They allow maximum airflow when using hi-volume pumps and CO2 cartridges. A durable, 2-piece system adds strength for trailside use. Compatible with 17-23mm deep rims, available in anodized red, black and blue.